UNDERWOOD, GLEN PERRY of Fenton; died January 9, 2019. He was 74. He was born July 14, 1944 in Chattanooga, Tennessee to the late Glen and Imogene (nee: Alley) Underwood. He is survived by one son, Glen T. (Camille) Underwood; two sisters, Debbie Renwick and Patricia Rhoades; two brothers, Don (Theresa) Underwood and Gerald Underwood; sister-in-law, Mary Schoenherr; dear friend, Ruth Rose. 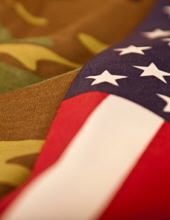 Glen was a veteran of the U.S. Army-Vietnam and was formerly employed in sales at Cap Homes. Funeral service will be 11:00 a.m. Thursday, January 17, 2019 at VILLAGE FUNERAL HOME-ORTONVILLE 135 South St., Ortonville. Deacon Tony Morici, officiating. Interment will follow at Ortonville Cemetery. Family will receive friends on Wednesday from 6:00 until 9:00 p.m. Memorial contributions may be made to the Wounded Warrior Project. To send flowers or a remembrance gift to the family of GLEN PERRY UNDERWOOD, please visit our Tribute Store. "Email Address" would like to share the life celebration of GLEN PERRY UNDERWOOD. Click on the "link" to go to share a favorite memory or leave a condolence message for the family.